What They Say.....In this new novel from the acclaimed author of Secrets of a Charmed Life, two women working in Hollywood during its Golden Age discover the joy and heartbreak of true friendship. Los Angeles, 1938. 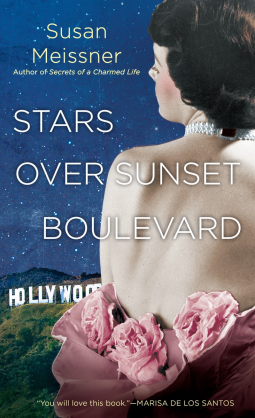 Violet Mayfield sets out to reinvent herself in Hollywood after her dream of becoming a wife and mother falls apart, and lands a job on the film-set of Gone With the Wind. There, she meets enigmatic Audrey Duvall, a once-rising film star who is now a fellow secretary. Audrey's zest for life and their adventures together among Hollywood's glitterati enthrall Violet…until each woman's deepest desires collide. What Audrey and Violet are willing to risk, for themselves and for each other, to ensure their own happy endings will shape their friendship, and their lives, far into the future. What I Say....I loved this book!! It was such a great story about female friendships. Violet and Audrey meet in 1930's Hollywood, while they both work at a major movie studio. The backdrop of the studio and the filming of Gone With the Wind was such an awesome addition to the story. I'm a total Gone With the Wind freak, so I loved reading the little glimpses into the making of the movie. Having Scarlett's green hat play such an integral part of the book just made it that much better. The story follows Violet and Audrey's friendship through the years, through relationships, marriages - one partially stolen husband, a child they share. Their feelings towards each other are always complicated, but always loyal, the way any great, long term friendships are. I got lost in this book, and finished it in a few days. It was a visit to another time.